Strapped for time but missing that Christmas cheer at home? 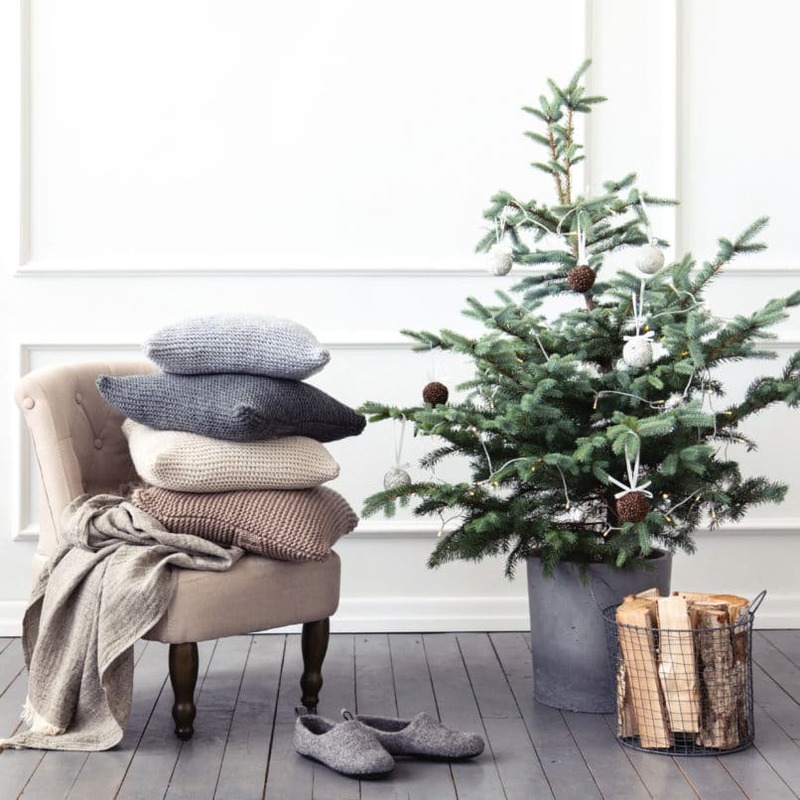 From the right way to decorate your tree to easy potpourri recipes to DIY décor tricks, here are 10 easy, no-humbug tips for making your home the hot seat for Christmas hygge. A bit of colour-blocking and upholstery fluffing can instantly lend that Christmas cheer to your home.My go-to’s are macramé, buffalo checks and plaid. Change your cushion covers, drape your chairs with plaid, bring out a few knitted throws – all these do the trick with minimum effort. While there are 11 kinds of trees that are generally used for Christmas, in India, we only get to flaunt the lovely araucaria. But if you intend on buying a faux variety, ensure that you buy one that has more than 1000 tips, so your tree looks full. 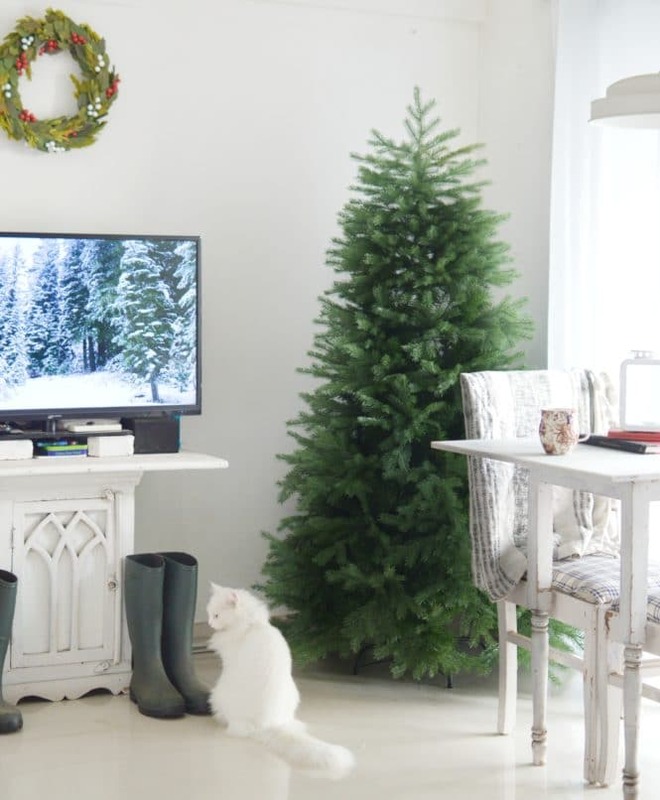 As of this year, you also get lovely faux trees online- from grand fir to spruce, snow pine and noble fir, all are available. Live in an apartment with no space? Get mini trees and display them throughout your home. On your end table, on top of your cupboard or even at your entryway – they look so Christmasy! I love to wrap the pots in burlap and tie a ribbon around it! 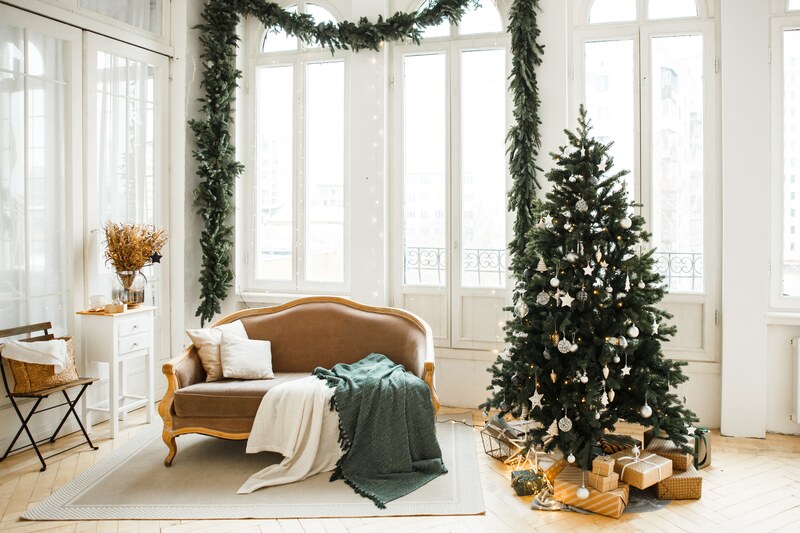 Here’s a failsafe way to decorate your tree like a pro – start with one kind and colour of ornaments, distribute them all around the tree, and then start with the next colour. This way your tree will look more cohesive. Add larger ornaments to the branches at the bottom of the tree and reduce the size as you go up – you want to maintain that quintessential conical shape. The most common mistake that people make is adding Christmas tree lights only around the tree’s circumference. Other than a lot of glare, it doesn’t do much to make your tree look dreamy. Instead, start from the tree’s topmost leaves, distribute lights all over the branches, and also inside the tree towards the stem. I use up three lights of 10 metre for our 7-foot tree. Don’t have a fireplace? No worries, you have shelves! 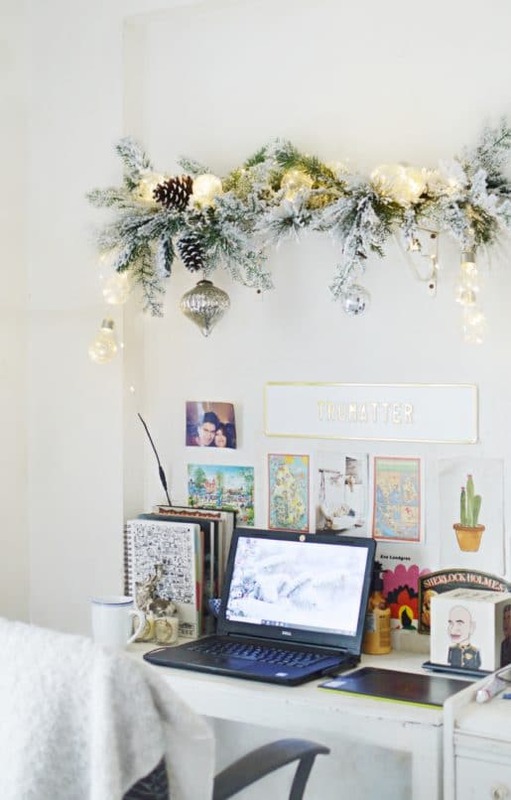 Add some winter greenery to them, along with a few Christmas ornaments to bring in some holiday cheer. 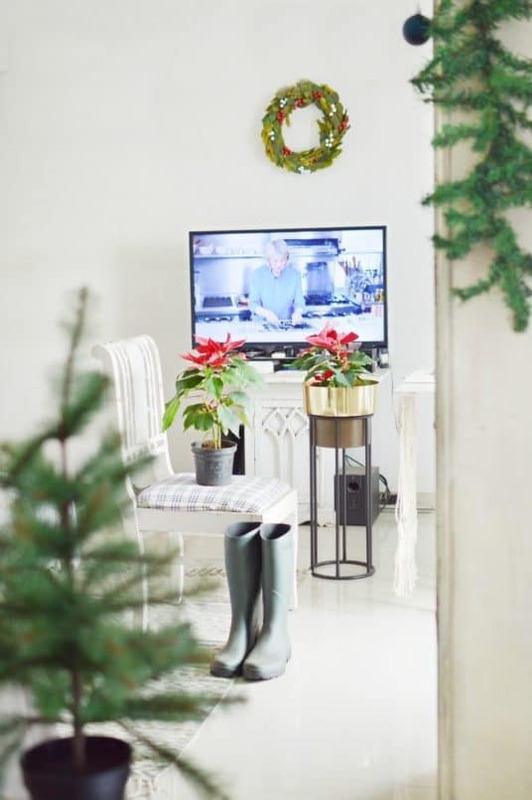 Nothing brings in Christmas cheer as quickly as poinsettias do. In bathrooms, over wardrobes, on garden tables and even in the kitchen. 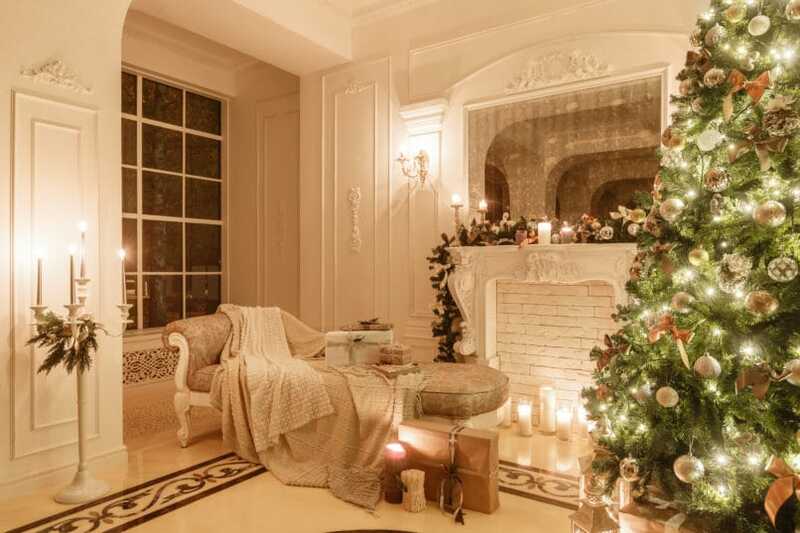 Christmas home décor is incomplete without that quintessential holiday smell. More than the hot chocolates, I recommend this stove-top Christmas fragrance: Slice half an orange, two cinnamon sticks, fresh cranberries, cloves and a teaspoon of nutmeg, and keep it boiling in a litre of water on low heat. That’s it! Christmas is in the air. Pomanders are basically perforated containers filled with aromatic herbs and spices. But the context in which I speak, it is a clove-studded orange typically used as a home fragrance around the holidays. Plus, they look pretty nifty as centrepieces too. Just stick in a few cloves in an orange(feel free to turn it into a masterpiece of sorts or keep it rustic and simple), and enjoy the fragrance. 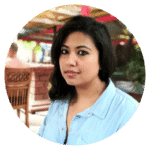 Rukmini is the founder, Editor & Stylist of Trumatter- a blog that weaves design and decor ideas inspired by comfort and informality. Think of a style that’s breezy, soothing and lulls you to change into a pair of pajamas and chill. Follow along for ideas that are easy, can be implemented in a rental, are doable and on budget.